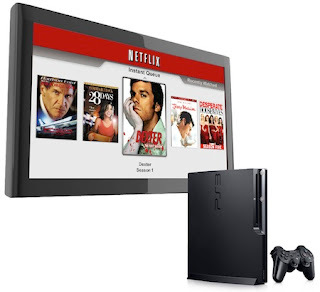 Netflix Users Can Instantly Watch Movies And TV Episodes Via PS3 ! Computer Entertainment America Inc and Netflix Inc are going to join forces in order to make thousands of movies and TV episodes from Netflix, to be streamed instantly to TVs via the Playstation 3 Computer Entertainment System. Moreover, Netflix has decided to begin streaming via the PS3 system next month with no additional cost to Netflix members in the US who already have a PS3 system. Till September 30, Neflix had 11.1 million U.S. subscribers and the PS3 system’s installation reached close to 9 million units in the US. As the next step the partnership has decided to let the consumers play high definition games, watch Blu-ray movies, listen to music, view photos, browse internet and download content from Playstation Network. At the same time, you can download exclusive blockbuster movies and popular TV shows and you can reserve a free instant streaming disc for PS3 systems by visiting Netflix site. If you want to have this stream immediately, pay $8.99 for a month and have an eternal fun.